The Moon Through a Crumbling Window - An interesting print of the Buddhist Daruma. 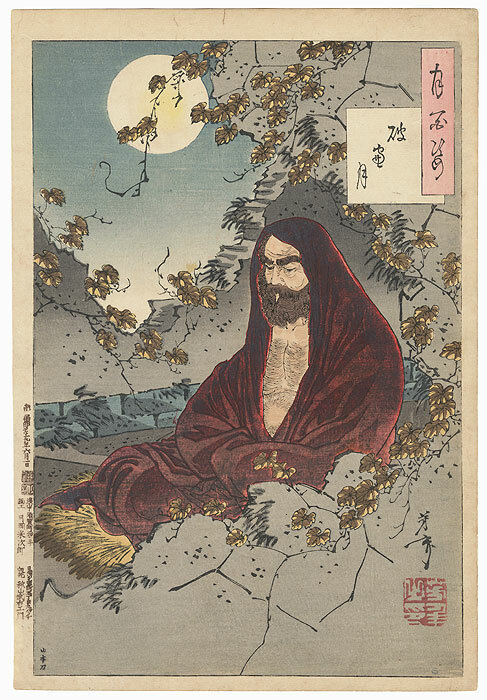 Meditating below the glowing moon, Daruma sits in deep contemplation. 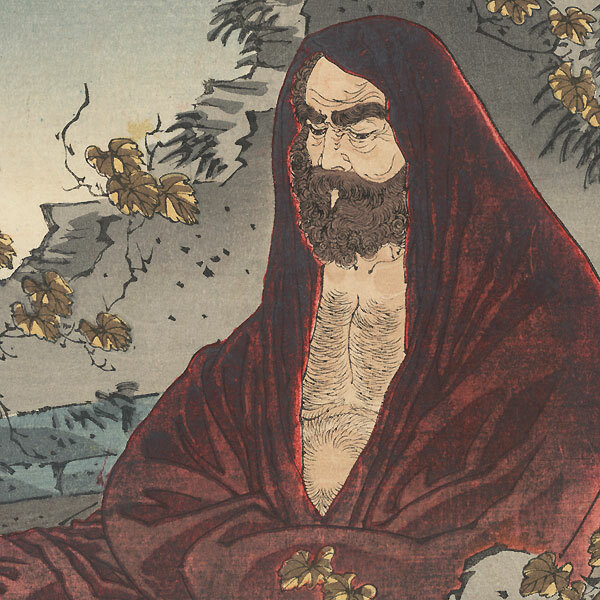 His brown robe is depicted with the oxidized colors of red and brown and vines grow about him; the scene conveys his concentration against all seasonal changes. A nice print with a strong composition and fine detail. 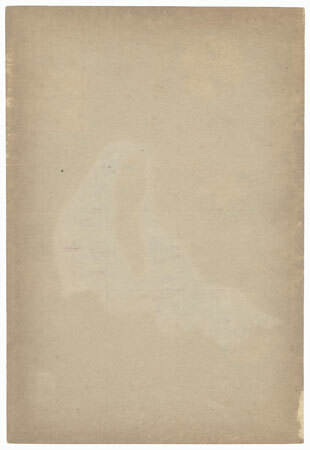 Condition - Nice color and printing quality. Nice large margins, as shown. Backed with paper from previous folio inclusion. Slight soiling and toning. Good overall, see photos.